CABOT (Caboto), JOHN (Giovanni), Italian explorer, leader of voyages of discovery from Bristol to North America in 1497 and 1498; d. 1498? Neither the place nor the date of birth of Giovanni Caboto (also known as Zuan Chabotto, Juan Cabotto, and other variants), commonly called John Cabot, is known. His birth is now often given as c. 1450 although there is no firm evidence. The earliest historical document which refers to him records his naturalization as a Venetian citizen in 1476, under a procedure by which this privilege was granted to aliens who had resided continuously in Venice for 15 years or more. The resolution of the Venetian Senate, dated 28 March 1476, reads (in translation): “That a privilege of citizenship, both internal and external [quae intus et extra], be made out for Ioani Caboto, on account of fifteen years’ residence, as usual.” This decision, possibly confirming an earlier grant made between November 1471 and July 1473, implies that Cabot had been in Venice at least since March 1461, perhaps longer. When in London in 1497–98, Cabot was variously spoken of as a Venetian and as “another Genoese like Columbus,” and some 60 years later he was believed by English writers, probably on the authority of his son Sebastian, to be of Genoese origin. The surname Caboto, while absent from 15th-century records of Genoa, is found from the 12th century in those of Gaeta, where a Giovanni Caboto is named as late as 1431; and the family may have left Gaeta for Venice following Aragonese proscriptions after 1443, or an earthquake of 1456. Suggestions made by some modern writers that John Cabot was of Venetian, English, or Catalan origin have not been proven. Documents in the Venetian archives, of dates between 27 Sept. 1482 and 13 Jan. 1485 (printed in R. Gallo, 1945) disclose that Giovanni Caboto (John Cabot), a merchant, was the son of Giulio Caboto deceased and had a brother Piero; that his wife Mattea was Venetian; and that by December 1484 he had two or more sons. These documents relate to property transactions in Chioggia and three other parishes; and as late as 1551 Sebastian Cabot was in communication with the Council of Ten about his patrimony in Venice. In the royal patent granted to John Cabot in England in 1496, his three sons are named, doubtless in order of seniority, as Lewis (i.e., Ludovico), Sebastian, and Sancio; and if they are the “sons” cited but not named in the Venetian record, the first two at least must have been born before 11 Dec. 1484. From 1461, or earlier, until 13 Jan. 1485 John Cabot’s residence in Venice is attested. On his employment during the next 11 years, in which he must have formulated his project for a westward voyage to the Indies, the evidence is indirect and equivocal. Italians who spoke with him in London in 1497 learned that he had been engaged in the spice trade of the Levant, claiming even to have reached Mecca; they noted that he was “a most expert mariner” and a maker of maps and globes; and their reports of his conversation reveal that he was familiar with Marco Polo’s account of the Far East and with the new discoveries made for the crowns of Portugal and Spain. Documents in the Valencia archives (Epist. vol. 496) show that a Venetian named John Cabot Montecalunya (“johan caboto montecalunya venesia”) was resident in Valencia from the middle of 1490 until, probably, February 1493, and that he prepared plans for harbour improvements which he expounded to King Ferdinand in two interviews. Although the epithet “montecalunya” has defied interpretation, the identification of this man with John Cabot the explorer is very probable, while not positively established. Acceptance of it may carry the implication that he was present in Valencia when, in April 1493, Christopher Columbus passed through the city on his way to Barcelona, there to report to the Spanish sovereigns the triumphant issue of his western voyage. According to Pedro de Ayala, the associate Spanish envoy in London, writing on 25 July 1498, Cabot had, before coming to England, sought support for his own project in Lisbon and Seville (Archivo General en Simancas, Estado, Tratados con Inglaterra, leg.2, f.196; an English summary is in PRO, CSP, Spanish, 1485–1509, no. 210). We do not know whether these applications were made before or after Columbus’ voyage; their want of success may be explained by the Portuguese rejection and the Spanish approval of Columbus’ proposals and claims. But if John Cabot in fact witnessed the return of Columbus in the spring of 1493, his reading of Marco Polo may well have led him to discredit Columbus’ belief that he had reached Cathay, and to suppose that the western sea route to Asia remained to be discovered. At some date before the end of 1495 John Cabot arrived in England with a plan for reaching Cathay by a westward voyage in higher latitudes, and so by a shorter route, than those of the trade-wind zone in which Columbus had made his crossing. To Cabot’s objectives and the means by which he proposed to reach them, and to the experience and reasoning by which he formulated his project, we have only indirect testimony, since no writing from his hand or of his composition survives on these matters. Converging evidence of various kinds points to hypothetical conclusions which are logically related to one another and to the various projects for Atlantic exploration in the last two decades of the 15th century. These conclusions, although subject to the reservation that they may be modified by new evidence, enable us to reconstruct Cabot’s motives and to account for his movements. The discovery of land by any of the Portuguese expeditions which, during the 15th century, sought islands in the western Atlantic is unauthenticated. From 1480 or earlier, by a more northerly route, English venturers from Bristol [for example, Croft and Jay] set forth regular voyages in search of the “Island of Brasil,” shown on contemporary charts to the west of Ireland; and at some date before 1494 their search was crowned by the discovery of a mainland, with which Cabot’s crew were to identify the North American landfall made on his first voyage in 1497. The Bristol men were interested in fishing grounds, not in a trade route to East Asia; but, if Cabot had, at some time before the end of 1495, received news in Spain or Portugal about the Bristol discovery, perhaps by a “leakage” through trade channels, his move to England in expectation of official support and a base for his voyage can be explained. Bristol, the westernmost port of England, could provide seamen who had mastered the winds and navigation for a westward passage in these latitudes. The land which they had found might turn out to be at worst an island which would serve as a station on the voyage to Cathay, at best the northeast point of Asia which could be coasted in a southwesterly direction to the lands of the Great Khan in tropical latitudes, far to the west of Columbus’ discovery. Thus the pattern of land and water which probably ruled Cabot’s thought when he went to England in or before 1495, and certainly did so after his return from his voyage of 1497, having “discovered . . . the country of the Grand Khan” and coasted it for 300 leagues from west to east, must have corresponded to that illustrated in the later world maps of Contarini-Rosselli (1506) and Ruysch (1508). On 21 Jan. 1496 Gonsalez de Puebla, the Spanish ambassador in London, wrote a report (not now extant) to his sovereigns, who replied on 28 March, referring to what he had said “of the arrival there of one like Columbus for the purpose of inducing the King of England to enter upon another undertaking like that of the Indies” (A.G.S., Estado, Tratados con Inglaterra, leg.2, f.16). On 5 March 1496, Cabot received letters patent from King Henry VII for a voyage of discovery from Bristol; and the lengthy process by which agreement on the terms of the patent was reached must have been set on foot some time earlier, although its initiation cannot much have antedated Puebla’s letter. The argument that Cabot had conducted or inspired earlier voyages from Bristol, perhaps going back to 1491, rests on three documents. In his letter of July 1498 Pedro de Ayala recorded that “for the last seven years” the men of Bristol had sent ships to seek the island of Brazil and the Seven Cities “according to the fancy [or reckoning] of this Genoese” (“con la fantasia desto Genoves”); if John Cabot were in Valencia in 1490–93, Ayala’s phrase must be taken to indicate merely Cabot’s later interpretation of the objectives of the Bristol voyages, and not his direct association in or with them. Sebastian Cabot’s world map of 1544 (now in BN, Paris) is accompanied by printed legends, the eighth of which ascribes the landfall made by John and Sebastian Cabot in the Cape Breton area to the year 1494; although the map and its legends doubtless incorporate information from Sebastian, his father, while in London in 1497–98, referred to his landfall of 1497 as a new discovery and made no allusion to any earlier successful voyage by him. The date in the legend of the 1544 map is in all probability a misprint for “1497,” the last four digits, written in Roman numerals, having been misread by the printer (IIII for VII). Finally, John Dee in 1580 attached the date “Circa An. 1494” to his note on the discovery of “the New Found Lands” by Robert Thorne and Hugh Eliot, merchants of Bristol (BM, Cotton MS Augustus I. i.1). As a record of a successful Bristol voyage before Cabot’s, this may be authentic, for Dee took his information from the papers of Thorne’s son; but the extant copies of these papers do not ascribe to the discovery any year-date, which must be taken to be a gloss by Dee, perhaps derived from Sebastian Cabot’s map, and without earlier authority. The balance of evidence suggests that John Cabot made no westward voyage before the grant of his patent in March 1496. Moreover, this patent makes no mention of any earlier discovery by Cabot, although his later patent, granted in 1498, cites the successful voyage of 1497 which had preceded it. The petition for letters patent was presented to King Henry VII on 5 March 1496 by “John Cabotto, Citezen of Venice” and his three sons (PRO, P.S.O. 2, 146). The letters patent, under the same date, authorized Cabot, his sons, their heirs, and their deputies to sail with five ships “to all parts, countries and seas of the East, of the West, and of the North,” thus excluding them from the region of the Spanish discoveries in the Caribbean. They were however empowered to “discover and find whatsoever isles, countries, regions or provinces of heathens and infidels, in whatsoever part of the world they be, which before this time were unknown to all Christians”; if Cabot found new land in the zone to which he was restricted by the preceding clause, he was therefore permitted to follow its coast into the latitudes of discoveries by other nations. The patentees were to hold newly found lands under the king and received other privileges; no other subjects of the king might frequent lands discovered by the patentees without their licence. 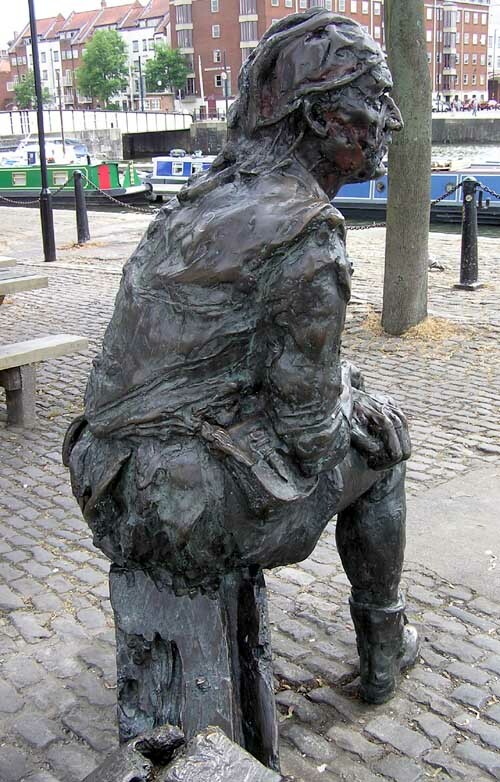 In 1496, under the authority of his letters patent, John Cabot made an abortive voyage from Bristol with one ship, turning back because of disagreement with his crew, shortage of food, and bad weather. The evidence for this is an undated letter written late in 1497 or early in 1498 by the English merchant John Day and addressed to a correspondent in Spain whom he styles “Almirante Mayor” and whom there are good grounds for identifying with Christopher Columbus. Day’s letter is also the only document which establishes the earlier discovery of “Brasil” by the Bristol men; and it gives a detailed narrative of Cabot’s voyage of 1497. The other evidence for the course of this voyage comprises three contemporary letters written by foreigners in London (23 Aug. 1497, Lorenzo Pasqualigo to his brothers in Venice; 24 Aug. 1497, an anonymous Milanese correspondent to the Duke of Milan; 18 Dec. 1497, Raimondo de Soncino to the Duke of Milan), a passage in a Bristol chronicle written by Maurice Toby (in or after 1565), and the world maps of Juan de la Cosa (1500) and Sebastian Cabot (1544). From their data, in spite of a few discrepancies, it is possible to construct a coherent narrative of the voyage. 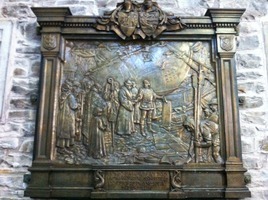 John Cabot sailed from Bristol on 2 May (Toby’s date; “towards the end of May,” Day; about the middle of May, Pasqualigo) in a small ship named the Matthew (Toby), with a ship’s company of 20 (Day; 18, Soncino), including a crew of Bristol seamen, two or more Bristol merchants (Toby, who ascribes the discovery to them and does not name Cabot), a Burgundian and a Genoese barber, both companions of Cabot. Sailing past southern Ireland he made a passage of 700 leagues (Pasqualigo; 400 leagues, anonymous Milanese), in 35 days with ene winds before sighting land (Day); two or three days earlier he had run into a storm and noted a compass declination of two points (22½°) west. The landfall was made on 24 June, St. John the Baptist’s Day (Toby and the 1544 map); a reckoning of 35 days back would give 20 May as the date of departure. In the wooded country near his landfall Cabot went ashore, seeing no people but signs of habitation, and made a ceremonial act of possession. This was his only landing; after a coasting voyage of 300 leagues (Pasqualigo) from west to east, lasting one month, he made his departure from the “cape of the mainland nearest to Ireland” and 1,800 miles west of Dursey Head (Day). A return voyage of 15 days brought him with a fair wind to Brittany (Day) and so to Bristol on 6 August (Toby). He reported to Henry VII in London before 10 or 11 August, when the king’s daybooks record a payment of £10 “to hym that founde the new Isle.” By 23 August, when Pasqualigo wrote, Cabot was back “with his Venetian wife and his sons at Bristol,” where he rented a house in St. Nicholas Street on St. James’s Back. 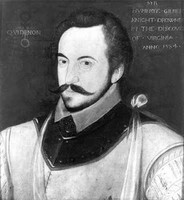 The claims made by Cabot for his discovery and the impression which they made at the English court are attested by the contemporary reports. The mainland found was “the country of the Grand Khan” (Pasqualigo), “far beyond the land of the Tanais” (Soncino); it is also identified with the Island of the Seven Cities (anonymous Milanese; Day); it produced brazil-wood and silk, and the sea swarmed with cod-fish (Soncino; Day). Cabot “is called the Great Admiral, and vast honour is paid to him, and he goes dressed in silk, and these English run after him like mad” (Pasqualigo). He had made a world map and a globe showing where he had been (Soncino); by the beginning of 1498 John Day had a transcript of the map in his possession and had sent to the “Almirante Mayor,” in Spain, “a copy of the land which has been found” (presumably a chart of the coasts discovered), naming “the capes of the mainland and the islands”; and another version of Cabot’s world map was by July 1498 in the hands of Ayala, who supposed the Spanish government to have received a copy. The identification of the point at which the landfall was made on 24 June 1497 and of the coasts traversed by Cabot in the ensuing 30 days has been much debated. La Cosa’s world map undoubtedly incorporates, in its representation of North America, information from Cabot’s first voyage in 1497 and possibly also (with much less certainty) from his second voyage, in 1498. The channels by which this material could have come into La Cosa’s hands are illustrated in the letters of Day and Ayala. By the middle of 1498 a copy or copies of Cabot’s world map had reached Spain, together with “the copy of the land” sent by Day, perhaps a sketch-chart with a list of places and distances. All these originals are now lost, and some caution is necessary in trying to reconstruct Cabot’s geography from the map of La Cosa. The map constitutes two distinct sections; the New World is drawn, on a larger scale than the Old World, from recent disjunct discoveries, completed by conjectural or theoretical interpolation. Since the scale is not uniform, it is impossible to correlate latitudes on the two sides of the Atlantic or the distances on the map with those reported to have been logged by Cabot. La Cosa’s outlines, like the originals from which they were compiled, are drawn by compass bearings; and, to bring this part of the map into true orientation, it must be rotated anti-clockwise through some 22 degrees. The surviving example of the map appears to be a copy, with resultant generalization of outlines and considerable corruption of the place-names, some of which in the course of time have become wholly or partly illegible. The map is in one hand throughout; and, in spite of attempts to assign it to a later date, its content is consistent with a compilation date of 1500 or a little earlier. It is generally agreed that, in this map, the section of North American coast trending E-W and marked by five English flags reflects John Cabot’s coasting voyage in June-July 1497, although it may also include information from that of 1498. Of the 22 named features, the easternmost cape is styled Cauo de ynglaterra, one further west C° de lisarte (Lizard? ), and a gulf to the west of the named features mar descubierto por inglese. Widely divergent identifications of the coast so delineated have been made (most of them before John Day’s detailed report of the voyage came to light in 1956). It has been variously held to represent the north shore of the Gulf of St. Lawrence; the south coast of Newfoundland; the east coasts of Newfoundland and Labrador; Nova Scotia and Newfoundland; or even the west coast of Greenland. The basic statement made by La Cosa’s map is that Cabot traversed a coastline facing generally SSE across open sea; this seems to exclude the closed waters of Belle Isle strait or the Gulf of St. Lawrence. Day confirms that the coasting was from west to east, and his “cape nearest to Ireland” may be identified with La Cosa’s Cauo de ynglaterra. The length of the coastal traverse – 900 miles (Pasqualigo) in a month (Day) – is therefore to be measured back from the point of departure, at Cauo de ynglaterra, to Cabot’s first sight of the land called by Day (also by the anonymous Milanese) the Island of the Seven Cities and located by him about latitude 45½ºN. Pasqualigo and the anonymous Milanese refer to two islands seen by Cabot on the way back to England; and Day identifies the cape of departure as the “Brasil” discovered by the Bristol men, referring to the wealth of fish, and places it about latitude 51½ºN, i.e., that of Cape Bauld. This latitude is irreconcilable with the duration of the coastal voyage from a landfall in 45½ºN and with La Cosa’s delineation. In December 1497 Cabot expounded these proposals to the king in London. Soncino records the enthusiasm of the Bristol seamen about the rich fishing grounds revealed; but Cabot, he adds, “has his mind set upon even greater things, because he proposes to keep along the coast from the place at which he touched, more and more towards the east [i.e., westward towards East Asia], until he reaches an island which he calls Cipango, situated in the equinoctial region, where he believes all the spices of the world to have their origin, as well as the jewels.” This terminology plainly echoes Marco Polo’s description of Cipangu and the eastern archipelago; and the association of ideas is strengthened by the wording of Day’s letter, written about the same time, with which he sent to his correspondent “the other book of Marco Polo and the copy of the land which has been found.” Similarly Ayala, after inspecting the records of the voyage of 1497, reported to his sovereigns that “what they have discovered or are in search of [i.e., on the voyage of 1498] is possessed by Your Highnesses because it is at the cape which fell to Your Highnesses by the convention with Portugal” – an allusion doubtless to Cuba, taken by Columbus to be a cape or peninsula of Cathay. Cabot’s purpose therefore was to follow the coast in a southwesterly direction from his first landfall until he came to the realm of the Great Khan. The preparations for his new expedition also suggest the intention to establish a “colony” or trading-post, either on the coast of Cathay or at an intermediate station on the route; this was to be manned by “malefactors” or prisoners supplied by the king, and some Italian friars were also to go with the expedition. On 3 Feb. 1498 royal letters patent authorized “John Kaboto, Venician,” to impress six English ships of 200 tons or smaller burden, to conduct them “to the londe and Iles of late founde by the seid John,” and to take with him out of the realm any of the king’s subjects who would go on the voyage. The composition of the fleet is disclosed by a London chronicle of which variant versions, derived from a lost original composed in 1509 or later, survive from the 16th century. There were five ships; one was equipped by the king and perhaps hired from the London merchants Lancelot Thirkill and Thomas Bradley, who seem to have sailed in her, while the other four ships were from Bristol and were fitted out by merchants of Bristol and London, whose names are unknown. Of Cabot’s other companions only three names are recorded: John Cair “going to the newe Ile” (a payment in the Household books, 8–11 April 1498), Messer Giovanni Antonio de Carbonariis, a Milanese cleric (letter of Agostino de Spinula to the Duke of Milan, 20 June), and “another Friar Buil” (Ayala’s letter, 25 July). The ships were provisioned for one year and carried cargoes of merchandise. Cabot’s favour with the king is attested by the grant of an annual pension of £20, to be paid from the Bristol customs and subsidies (13 Dec. 1497), and by a “reward” of 66s. 8d. (8–12 Jan. 1498); the warrant for the first payment of the pension was issued on 22 Feb. 1498. No narrative record of Cabot’s second voyage is extant, and the train of events can only be inferred from scattered allusions. The ships sailed from Bristol at the beginning of May, according to the London chronicler; by 25 July Ayala had heard that one ship, damaged in a storm, had put into an Irish port. That this ship may have been Cabot’s and have subsequently resumed the voyage is suggested by a passage of Polydore Vergil (written 1512–13): “John [Cabot] set out in this same year and sailed first to Ireland. Then he set sail towards the west. In the event he is believed to have found the new lands nowhere but on the very bottom of the ocean, to which he is thought to have descended together with his boat . . . since after that voyage he was never seen again anywhere” (The Anglica Historia of Polydore Vergil, A.D. 1485–1537, trans. 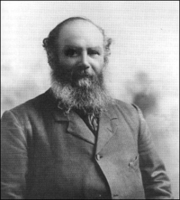 D. Hay (Royal Hist. Soc., Camden ser., LXXIV, 1950), 116–17). Although Cabot’s pension was paid, not necessarily to him in person, in each of the two years 1497–98 and 1498–99 (Michaelmas to Michaelmas), it may be taken that he never returned to England, where his fate remained unknown. By mid-September 1498 no more news of the expedition had reached London; but it is very probable that, if Cabot was lost, one or more of its other ships survived the voyage and that reports of it came back to England and Spain. The evidence for this, positive and negative, is slight but cumulatively significant. In the summer of 1501 the Portuguese crew of one of Gaspar Corte-Real’s ships obtained from natives, probably on the Newfoundland coast, “a piece of broken gilt sword” of Italian workmanship and two silver Venetian earrings; of the previous expeditions recorded to have visited these coasts, namely those of the Bristol men, before 1494, of Cabot in 1497 (when he encountered no inhabitants), and of Cabot in 1498, the last-named seems the most probable source for the objects. Some news of the course of Cabot’s ships evidently reached the Spanish government before 8 June 1501. On that date the sovereigns issued letters patent to Alonso de Ojeda for a voyage of exploration along the mainland coasts of the Caribbean, from south to north, commencing at Cabo de la Vela, in Colombia, which Ojeda, in company with La Cosa and Vespucci, had reached on a westerly traverse from Trinidad in 1499. He was now instructed to “follow that coast which you have discovered, which runs east and west, as it appears, because it goes towards the region where it has been learned that the English were making discoveries; and that you go setting up marks with the arms of their Majesties . . . so that you may stop the exploration of the English in that direction. “ In July 1498 Ayala, “having seen the course they are steering and the length of the voyage,” had warned his government of Cabot’s intention to follow the coast in a southwesterly direction into the tropics; and Ojeda’s patent suggests that one or more of the English ships advanced either into the Caribbean or far enough to the south, along the North American coast, to alarm the Spaniards. How far this penetration extended cannot be positively affirmed. If any cartographic evidence of it exists, it is to be sought only in the coastline drawn by La Cosa from the mar descubierto por inglese, at the western limit of his “English coast,” in a general WSW direction down to the latitude of Cuba. The conventional appearance of the drawing may be due to generalization by the copyist, and the absence of place names does not exclude the possibility that the design is a record of experience. Many students have in fact associated this delineation with the voyage of 1498, identifying certain details of it with real geographical features (Cape Cod, the Hudson River, the Delaware, Florida). The most that can be said is that, if La Cosa here records the results of an expedition of discovery, that expedition is more likely to be Cabot’s of 1498 than any other. 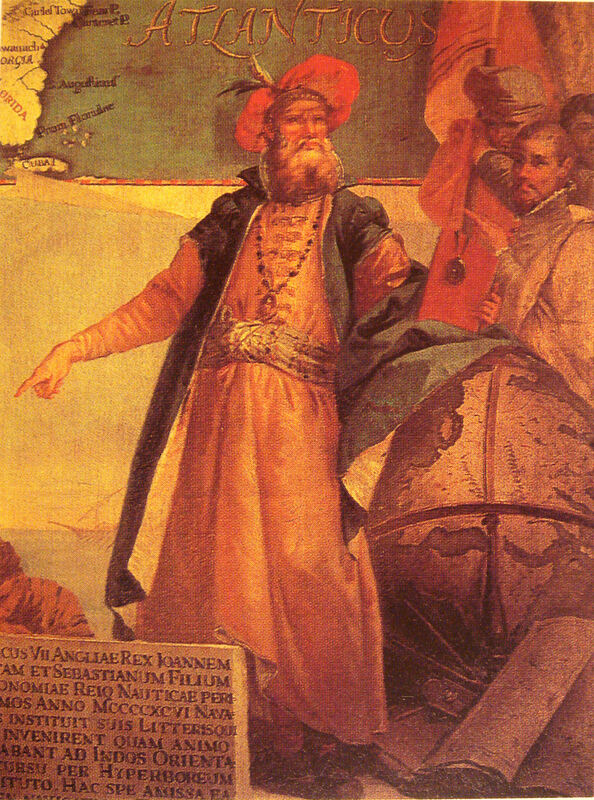 During the 16th century John Cabot’s reputation was eclipsed by that of his son Sebastian, to whom the discovery of North America made by his father came to be generally attributed. This misapprehension, which Sebastian did nothing to remove before his death in 1557, arose in part from confusion between John Cabot’s expedition of 1498 and the later westward voyage made by Sebastian under the English flag, in part from ambiguity in some of the early records (including those derived from Sebastian) relating to the Cabot voyages, and in part from ignorance of other records. Thus the passage in the London chronicle describing the expedition of 1498 referred to its leader simply as “a Venetian,” whom John Stow, in The chronicles of England from Brute unto this present yeare of Christ, 1580 (London, 1580) and Richard Hakluyt, in Divers voyages touching the discoverie of America (London, 1582), identified as Sebastian Cabot, although Hakluyt printed, also in his Divers voyages, the letters patent issued to John Cabot and his sons in March 1496. Until the second quarter of the 19th century historians could still credit Sebastian with the conduct of his father’s two expeditions, identifying that of 1498 with the voyage into high arctic latitudes made by Sebastian and described by him to Peter Martyr between 1512 and 1515 and to Ramusio in 1551. The Spanish, Venetian, Milanese, and English documents which came to light during the 19th century enabled Henry Harrisse (1882 and 1896) to restore to John Cabot the credit for the ventures of 1497 and 1498, and G. P. Winship (1900) to review the chronology and to isolate the aims and course of Sebastian’s independent voyage, which he assigned to the years 1508–9. Although some 20th-century historians associated Sebastian’s statements about his own voyage with that of 1498, Winship’s views, as adopted and developed by J. A. Williamson and R. Almagià, have commanded fairly general consent. They establish indeed a coherent and progressive relationship between the geographical concepts and objectives of the three voyages. As the scanty records place beyond doubt, John Cabot sailed in 1498 with the intention of running southwest from his discovery of 1497 along the coast which he supposed to be that of East Asia. If, as seems probable, either he or his companions executed this design, they found neither Cathay nor any westward sea passage. That this “intellectual discovery of America” may have resulted directly from the 1498 voyage is suggested by the fact that (as Williamson has pointed out) the records of subsequent English voyages to the west contain “no more talk of Asia as lying on the other side of the ocean.” By 1508 Sebastian Cabot was seeking a northern passage round the continent which lay across the seaway to Cathay. No contemporary portrait of John Cabot is known to exist; an ideal representation of him and his three sons was painted by Giustino Menescardi in 1762 on the wall of the Sala dello Scudo in the Palazzo Ducale, Venice. The memorials erected in England and Canada to celebrate the quatercentenary of his discovery, in 1897, include the Cabot Memorial Tower at Bristol. The primary or manuscript sources are extremely numerous, but they are gathered together in the various works cited below, in chronological order. The best general collections of documents on both the Cabots are those of Biggar (1911) and Williamson and on Sebastian Cabot, that of Toribio Medina. Significant documents, or groups of documents, are those published by Ballesteros-Gaibrois, Gallo, Vigneras, and Pulido Rubio. R. Biddle, A memoir of Sebastian Cabot (Philadelphia and London, 1831; London, 1832). Henry Harrisse, Jean et Sébastien Cabot (1882). 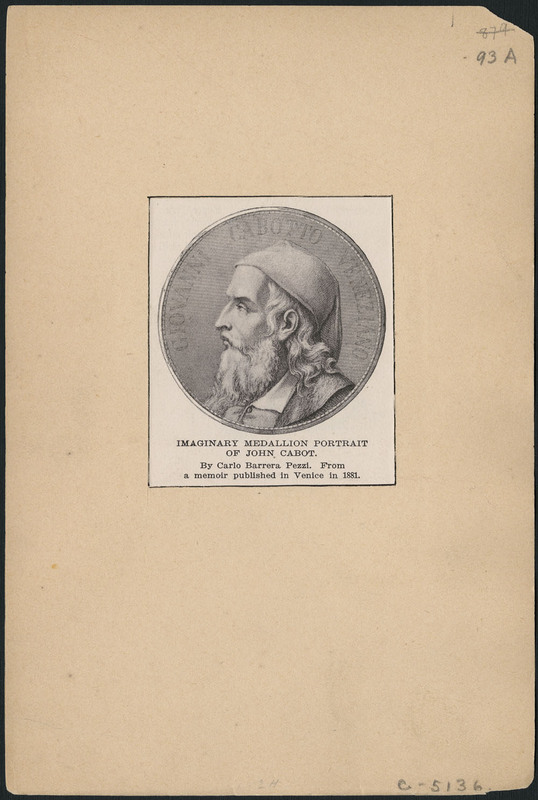 Francesco Tarducci, Di Giovanni e Sebastiano Caboto: memorie raccolte e documentate (Venezia, 1892); Eng. trans., H. F. Brownson (Detroit, 1893). S. E. Dawson, “The voyages of the Cabots in 1497 and 1498,” RSCT, 1st ser., XII (1894), sect.ii, 51–112; 2d ser., II (1896), sect.ii, 3–30; III (1897), sect.ii, 139–268. Henry Harrisse, John Cabot, the discoverer of North America, and Sebastian Cabot his son (London, 1896). G. E. Weare, Cabot’s discovery of North America (London, 1897). C. R. Beazley, John and Sebastian Cabot (London, 1898). G. P. Winship, Cabot bibliography, with an introductory essay on the careers of the Cabots based on an independent examination of the sources of information (London, 1900). H. P. Biggar, The voyages of the Cabots and of the Corte-Reals to North America and Greenland, 1497–1503 (Paris, 1903); Precursors (1911). Williamson, Voyages of the Cabots (1929). Ganong, “Crucial maps, i.” G. E. Nunn, The mappemonde of Juan de La Cosa: a critical investigation of its date (Jenkintown, 1934). Roberto Almagià, Gli italiani, primi esploratori dell’ America (Roma, 1937). Manuel Ballesteros-Gaibrois, “Juan Caboto en España: nueva luz sobre un problema viejo,” Rev. de Indias, IV (1943), 607–27. R. Gallo, “Intorno a Giovanni Caboto,” Atti Accad. Lincei, Scienze Morali, Rendiconti, ser. VIII, III (1948), 209–20. Roberto Almagià, “Alcune considerazioni sui viaggi di Giovanni Caboto,” Atti Accad. Lincei, Scienze Morali, Rendiconti, ser. VIII, III (1948), 291–303. Mapas españoles de América, ed. J. F. Guillén y Tato et al. (Madrid, 1951). Manuel Ballesteros-Gaibrois, “La clave de los descubrimientos de Juan Caboto,” Studi Colombiani, II (1952). Luigi Cardi, Gaeta patria di Giovanni Caboto (Roma, 1956). Arthur Davies, “The ‘English’ coasts on the map of Juan de la Cosa,” Imago Mundi, XIII (1956), 26–29. L.-A. Vigneras, “New light on the 1497 Cabot voyage to America,” Hisp. Amer. Hist. Rev., XXXVI (1956), 503–6; “The Cape Breton landfall: 1494 or 1497? Note on a letter by John Day,” CHR, XXXVIII (1957), 219–28. Roberto Almagià, “Sulle navigazioni di Giovanni Caboto,” Riv. geogr. ital., LXVII (1960), 1–12. 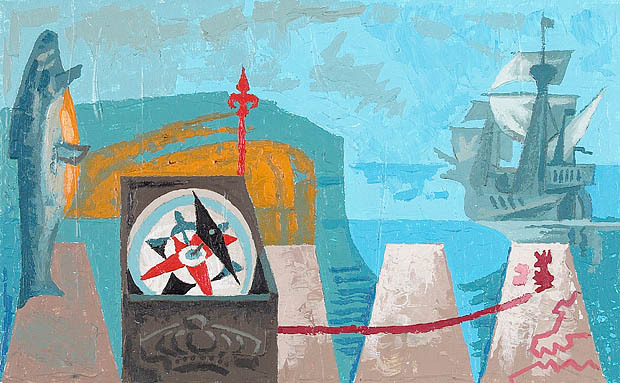 Arthur Davies, “The last voyage of John Cabot,” Nature, CLXXVI (1955), 996–99. D. B. Quinn, “The argument for the English discovery of America between 1480 and 1494,” Geog. J., CXXVII (1961), 277–85. Williamson, Cabot voyages (1962). “The Cabot project”: www.bristol.ac.uk/history/research/cabot.html (consulted 9 March 2011). This international project was launched in July 2009 by the Dept. of Hist., Univ. of Bristol, Eng., “to investigate the Bristol discovery voyages of the late fifteenth and early sixteenth centuries – in particular, those undertaken by the Venetian adventurer, John Cabot.” Two of the articles published by project leader E. T. Jones summarize recent research: “Alwyn Ruddock: ‘John Cabot and the Discovery of America,’” Hist. Research (Oxford, Eng. ), 81 (2008): 224–54; and “Henry VII and the Bristol expeditions to North America: the Condon documents,” Hist. Research, 83 (2010): 444–54. Douglas Hunter, in The race to the new world: Christopher Columbus, John Cabot, and a lost history of discovery (New York, 2011), uses findings from the Cabot Project as part of his research. R. A. Skelton, “CABOT, JOHN,” in Dictionary of Canadian Biography, vol. 1, University of Toronto/Université Laval, 2003–, accessed April 22, 2019, http://www.biographi.ca/en/bio/cabot_john_1E.html.